Yesterday, I picked up my copy of John L. Sorenson’s magnum opus (a Latin term meaning “great work,” by the way), Mormon’s Codex: An Ancient American Book. I’ve only made my way through the front matter and the first couple of chapters. School work will likely keep me from making any more significant progress for a while. 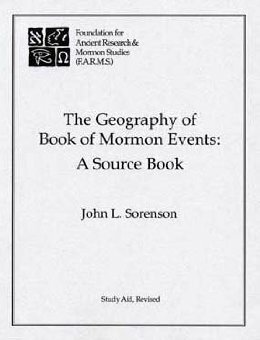 This is Sorenson’s fifth book on Book of Mormon geography, culture, and history, to say nothing of the dozens of articles he has written on the subject. Although it is the culmination of his life’s work, Sorenson still seems to gloss over certain aspects previously covered in past books, often referring the reader to those earlier works for more detailed information. Like many scholars of many subjects, Sorenson’s books all build on this same theme in different ways. This means a couple of different things. First, it means that there is a certain amount of overlap between each of his works, an inevitable fact when constantly writing and expanding on the same subject for several decades. Second, it means to get the full picture, you ought to read all of them. In addition to the two above facts, I would add that it is best to read them all in a certain order. There is a certain logic that comes from reading them in an order that builds from one book to the next. However, perhaps uniquely, when it comes to Sorenson’s works, the best order to read them in is not actually the order they were published in (nor, incidentally, the order I read them in, though I wish I had). So, as tribute to Sorenson and his important work in Book of Mormon geography, history, and culture, and as an aid to the budding student of Book of Mormon geography, I’ve listed Sorenson’s five major works in this area, in the order they ought to be read, with a brief explanation of what the book is, and why it should come in that order. The Geography of Book of Mormon Events: A Source Book (Provo, UT: FARMS, 1990, 1992). Anytime you are going to being the study of a subject, the first thing to do is get familiar with the discipline as a whole, the history of thinking in that area, etc. Originally published in 1990, with a second edition in 1992, Sorenson’s Source Book provides all the necessary background to help the novice student get well grounded in the discipline. Sorenson provides an intellectual history of Book of Mormon geography, a synopsis of over 70 different models, provides the fullest discussion of methodology to be found anywhere on the subject, and gathers all the relevant passages (that he is aware of) from the text, and gathers every statement made on the topic by a General Authority. Sorenson also provides brief, but important, background on the subjects of distances and directions, crucial topics in any discussion of geography. 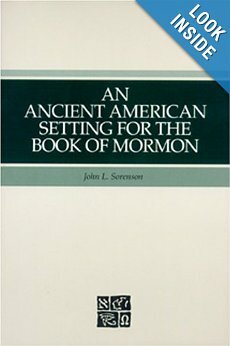 Sorenson’s Source Book should be the starting point for anyone interested in Book of Mormon geography. Mormon’s Map (Provo, UT: FARMS, 2000). While Sorenson fully lays out his methodology in his Source Book, his fullest application of that methodology is laid out in Mormon’s Map. Here, Sorenson goes through and details the internal map of Book of Mormon lands, based on the 600+ passages he had previously identified as being relevant to geography. Sorenson shows that while the details on geography in the Book of Mormon are sparse, there is still enough detail to flesh out a fairly complete picture, if we bring the tools of topography, hydrology, and other disciplines to the task of interpreting the text. The result is a fairly comprehensive picture of approximately what the Book of Mormon lands looked like, at least as conceptualized by Mormon. An Ancient American Setting for the Book of Mormon (Salt Lake City, UT: Deseret Book and FARMS, 1985, 1996). Sorenson’s first book is actually the third step in the logical development of thought. Having laid out the internal map, the next step is to compare it to the real world to see which place, if any at all, fits the textual description. Sorenson lays out his case here that the best fit for the text is Mesoamerica. What’s more, he argues for a particular part of Mesoamerica, primarily southern Mexico (the land northward) and Guatemala (the land southward). For Sorenson, the Yucatan and Caribbean coasts don’t factor in at all. Once Sorenson has made his correlations, he proceeds to offer some historical and cultural data that help situate the Book of Mormon within the real world setting. 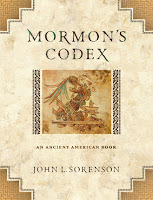 Mormon’s Codex: An Ancient American Book (Salt Lake City, UT: Deseret Book and the Neal A. Maxwell Institute for Religious Scholarship, 2013). This is now where his new book comes in. Although I have not read the whole thing yet, I have browsed it a bit, looked at the chapter titles in the Table of Contents, and read the first couple of chapters. While Sorenson makes some modifications to his previous geography (particularly to his Jaredite map), and does spend a chapter discussing important geographic correspondences between the text and Mesoamerica, my sense is that Sorenson’s main focus here is on historical and socio-cultural correspondence. So, where as Ancient American Setting was primarily dedicated to establishing the geographic correlation, supplemented with some historical and cultural data, in Mormon’s Codex Sorenson seems content to merely summarize the previous work on the geographical correspondence and then to vastly expand on the historical and cultural correlations noted in his previous work, namely, Ancient American Setting. 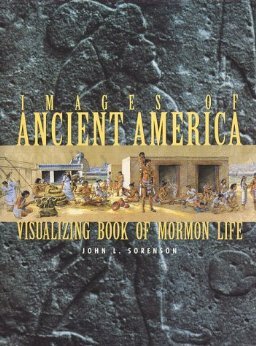 Images of Ancient America: Visualizing Book of Mormon Life (Provo, UT: Research Press, 1998). This one could conceivably go before, rather than after, Mormon’s Codex. It is also probably the one you could most easily get away with not reading, since most of its contents is covered in the other works. But, it is important not for its unique content or new data, but for its visual representation of the data. After having read in detail about the geographical, historical, and cultural correlation between the Book of Mormon and Mesoamerica, Images of Ancient America will help you visualize and bring the text to life in whole new ways. As an image-rich volume, it makes for a good coffee table book, but is also indispensible for better understanding and grasping much of what is found in Ancient American Setting and Mormon’s Codex. While reading Sorenson’s first book helped put flesh and bones on Book of Mormon characters, it was Images of Ancient America that fully brought them back to life in my mind. As such, though you could conceivably pass it up, I wouldn’t recommend it. So there you have it. A systematic and logical way of going through the works of John L. Sorenson (well, his books on the Book of Mormon, at least) that helps guide the reader through the process of studying Book of Mormon geography. Although this is the not the order Sorenson published these works, I suspect this is close to the order in which Sorenson’s own thought on the issue developed. 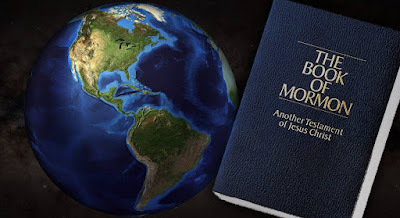 He probably started by studying previous models of Book of Mormon geography and the current thought of his day, then studied all the relevant passages in the Book of Mormon, creating his internal map, comparing that to the real world and identifying the best fit. From there, he probably began to research the historical and cultural data to figure how the Book of Mormon fit into the picture. Only once that (to some degree or another) had been done could he proceed to visualize and collect images to associate with it. I hope this is helpful to others interested in getting into this fun and interesting field of Book of Mormon scholarship. A few of these papers can be found in the anthology Nephite Culture and Society: Selected Papers (Salt Lake City, UT: New Sage Books, 1997), which I did not count in the book total, as it consists mostly of previously published papers.